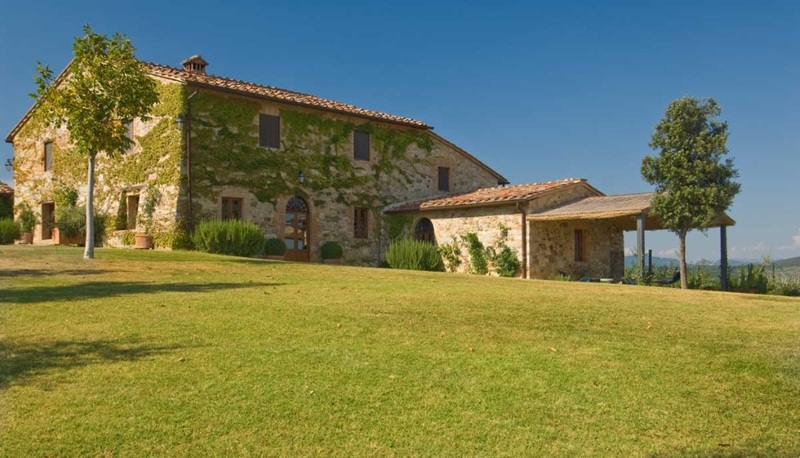 Just 11km outside Siena in the Chianti countryside, the property is a refined residence near the village of Pianella…..
….. perched on a hilltop overlooking the vineyards and rolling hills of the famous Chianti region, the villa is the perfect country retreat for groups of families and friends. Guests can dine al-fresco on the furnished terrace, relax in the manicured gardens or take a refreshing dip in the private swimming pool, all while enjoying panoramic views. Ground Floor: 1 queen/twin bedroom; 1 guest bathroom with shower. First Floor: 1 queen bedroom with private showered bathroom + 1 twin bedroom with private bathroom with handheld shower + 1 queen/twin bedroom with private bathroom with handheld shower + 1 spacious queen/twin master bedroom with en suite bathroom with bathtub and stall shower. An entrance hall leads into two spacious living rooms, comfortably decorated in classic Tuscan country style. A fully equipped kitchen connects to the dining room, which in turn opens onto the large furnished outdoor dining terrace.